Can I use a personal power breaker? The generator is configured differently to the mains supply. The generator has a ‘floating earth’, whilst the mains has an earthed neutral. Although it is recommended to use a personal power breaker (RCD) from the mains, for the majority of cases, it is not necessary to use one with a generator. The generators are safe as they are designed to work without a RCD. 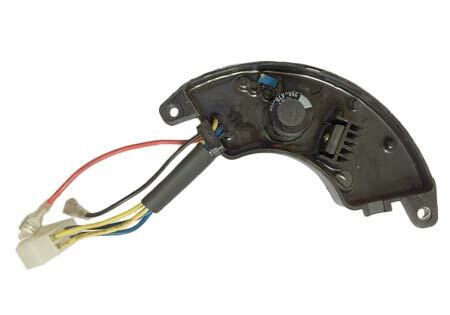 Personal power breakers are designed to operate from the mains. If one is to be used with a generator, then it is necessary to modify the generator so that it is configured in the same way as the mains. This is a relatively simple modification for a qualified electrician involving adding a link wire from the neutral terminal to the earth terminal. 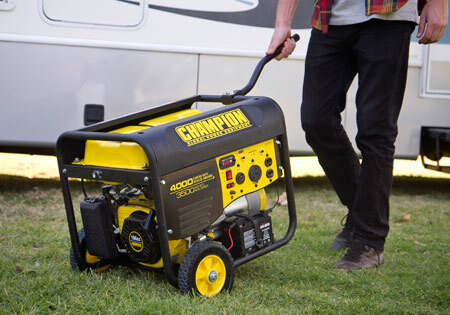 However, once the generator has been modified, it is necessary to then always use a personal power breaker and to also always use an earth spike, which connects between the generator frame and the ground. Since this is difficult to ensure, it is generally recommended not to modify the generator. What do I need to know about Noise Emissions? The decibel which is normally abbreviated dBA is the unit used to measure the intensity of a sound. The human ear is incredibly sensitive, a person's ears can distinguish between wide ranging sounds such brushing their fingers on a notepad to the loudest explosion or Jet aircraft. To put these differences into perspective a jet aircraft is 1,000,000,000,000 times more louder than the quietest audible sound. Looking on the decibel scale, the smallest audible sound which is near silence registers at 0 dB. An increase of 10 decibels equates to a 10 fold increase in noise to your ear. Important Point! Generators are measured and compared within the industry @ 7 metres. To comply with EEC regulations all generators have to be marked in LWA this is a different measurement of sound which is taken from a different distance. 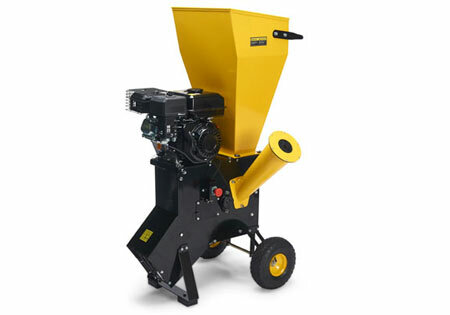 For an example our quiet Champion 71001i is rated at its lowest at 53 dBA @ 7 metres. On the LWA scale this would equate to approx 86-88 decibels. Please beware of this as all products have LWA marked on them, many do not have the industry rated @ 7 metres level. Note: A 10 dB increase represents a doubling in loudness to the ear. Threshold of pain, above this fast-acting hearing damage in short action is possible. In this age of consumer freedom the choice for many items including generators seems endless, buy in confidence that all our generators are from top Euorpean, American or Japanese companies, We do not sell inferior quality generators as sold on many other sites. All electrical products have a data plate with information regarding their power usage. 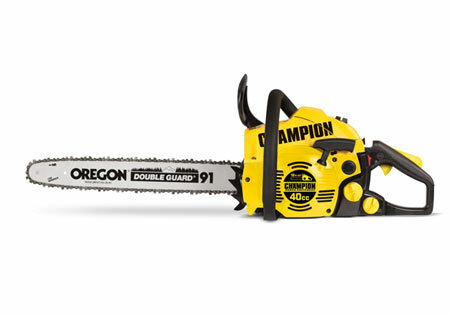 For most power tools i.e. drills sanders etc their listed wattage is all the power they require to run. Household items such as lights, TV's, DVD's etc.fall in the same category. Items such as freezers, fridges, washing machines etc are normally different. Whilst they can state a wattage rating, due to the type of motor they use can require a much greater requirement on start up, when started they then require a smaller wattage usage. If you are unsure as to what power usage a product has it is always advisable to contact the relevant manufacturers sales or technical dept, quoting model number and requesting the START UP wattage & RUNNING wattage of your item. 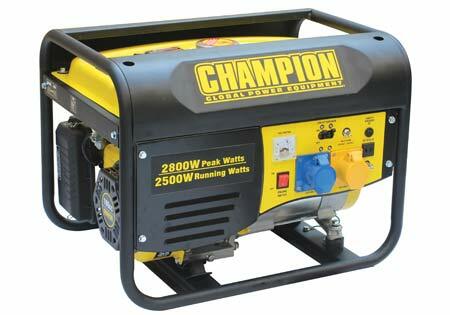 With this information you will be able to determine accurately the size of generator you require. Is it resistive or inductive load? resistive load are predominantly 1:1 loads where are a Inductive load can be up to 3 times greater for start up. A standard tank will last for 2-4 hrs, where most long run generators can run through the night, if you are looking to purchase a generator for back up for power cuts then we would recommend a long run tank machine. Do I want to run my Computer off a Generator ? 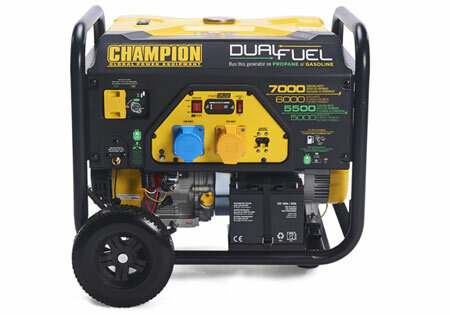 Running home computers from a standard generator is not advisable, you require a generator that utilizes Inverter technology such as the Champion Range Inverters, these systems will give you much smoother and more stable electricity than the main frame types or diesels. Please note!!! As the generator starts to run out of fuel, the engine is likely to surge. To avoid this affecting electronic equipment an Uninterruptible Power Supply (UPS) or sometimes called Battery Back-up can be used. These are typically sold for use with computers so that data is not lost in the event of a power cut or surge. Two phases are available in either single, three or both. Single phase generators come in all different shapes and sizes in either petrol or diesel and three phases are predominantly diesel. If you are looking for a power factor of 1:1 then you will require a generator with a single phase output, if you however want a dual voltage generator then one voltage will generate full power and the second voltage predominantly generates 40-50% less. If you are looking for a power factor of 0.8 then you will require a generator with a three phase output, if you however want a dual voltage generator then one voltage will generate full power and the second voltage predominantly generates 40-50% less. Eg. 415v / 240v generator will allow full power on the larger voltage but smaller power on the smaller voltage. Generators could be with various power output sockets from 13amp, 16amp & 32amp depending on the type and the power required. Eg. 240v / 120v generator will allow full power on the larger voltage but smaller power on the smaller voltage. Generators could be with various powerm output sockets from 13amp, 16amp & 32amp depending on the type and the power required. Always allow an extra 10-15% extra power when choosing the correct generator, this will allow for start up power on selected pieces of equipment. How do I connect my generator to my house in case of mains failure? It is vital that the generator is completely isolated from the mains supply. This ensures that the generator is not attempting to power up the whole neighborhood, but also ensures that it does not electrocute a utility worker trying to restore the mains supply. To achieve this, a double-pole, break-before-make, changeover switch must be installed by a qualified electrician. This should be fitted between the electricity meter and the building consumer unit. The switch connects the building to either the mains supply or to a lead which can be plugged into the generator. The plug should be labeled “Do not connect to mains: Neutral-Earth link fitted”. A local low-impedance earth spike needs to be installed. What is kW and kVA? What is the Power factor? 1) Real Power, measured in Watts (W). 2) Reactive Power, measured in Volt Amperes reactive (VAr’s). 3) Apparent Power, measured in Volt Amperes (VA). Many loads have a combination of resistive and reactive elements. (in fact it is not possible to produce a purely inductive load, since the wire used to form the windings has a resistance). This combination of elements means that both real power (W) and reactive power (VAr) are drawn together. The proportion of Real Power to Reactive Power is defined as the power factor. [Nearly all resistive load (e.g. Universal motor used in hand tools) then power factor 0.95 to 1.0, nearly all inductive load then power factor ~ 0.3] The vast majority of single-phase loads have power factors approaching 1. Therefore, single-phase generator power ratings are taken at power factor =1, and are consequently in Watts (W) or kilo Watts (kW), where 1 kW = 1000 W.
For a single-phase generator, the rating should be at 1.0 pf, in which case Watts = Volt Amperes. But, for a three-phase generator the rating is at 0.8pf. It is this combination of 4kW of real power and 3kVAr’s of reactive power that has defined the limit for the generator rating. If the same generator was loaded with a resistive load only, then it may be capable of more than 4kW, however, there is no formula that can be used to find this limit from the 0.8pf rating. It can only be found through testing of each machine. Similarly, a single-phase generator rated at 4kW, cannot be expected to produce 5kVA at 0.8pf ! Can I operate my computer from a generator? The output from the mains of your house and a generator are not the same. The generator output is less stable. 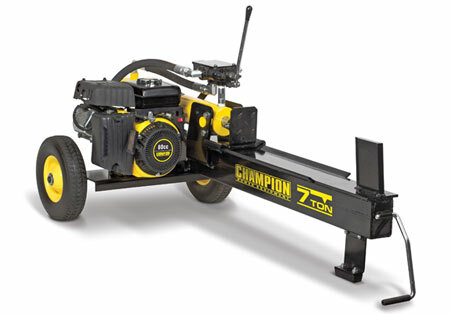 The speed of the engine driving is controlled on the amount of load placed on the generator. The speed drops as the load is increased. The frequency of the output voltage is directly dependent on the engine speed; therefore, the frequency of the output varies with load. In addition, the output voltage will vary with load, and with temperature. The output voltage of most standard generators will remain within 230V +/- 10% from no load up to the rated load current quoted on the information plate. This is the guaranteed range of voltage supplied from the mains utilities. The frequency of the output voltage will vary typically from 53Hz at no load to 49Hz at rated load current, whereas the mains supply is unlikely to vary by more than 0.1 Hz. Most electronic equipment is designed to cope with these fluctuations. However, we recommended to ask the equipment supplier whether their equipment is suitable to be operated from a portable generator. As a generator runs out of fuel, the engine is likely to surge. (To avoid this affecting electronic equipment an Uninterruptible Power Supply (UPS) can be used. These are typically sold for use with computers so that data is not lost in the event of a power cut). Computers and power-sensitive testing equipment require electrical current that is consistent and has a stable \"sine wave\" or signal. 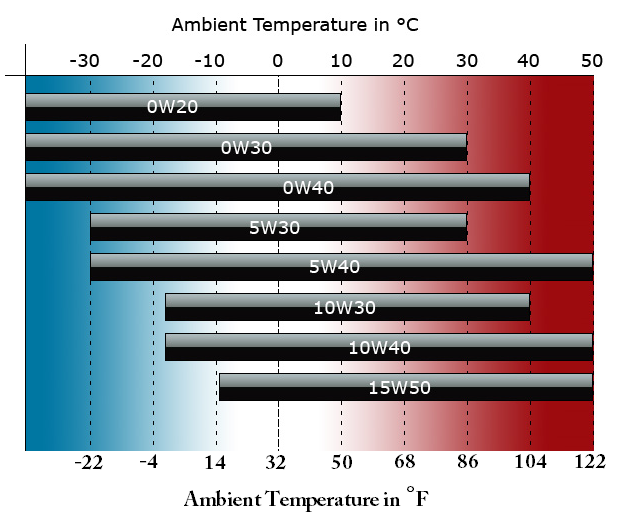 Your lights and other basic home equipment can handle fluctuations from a AC fluctuation. However, if your computer was being powered by a generator and the voltage fluctuated, chances are the computer would shut down or at least interrupt the program you were working in. In order to overcome this problem, a revolutionary form of inverter technology was developed. This process results in a sine wave equal to or better than the current from your household AC wall outlet. This means that, you can operate a computer or laptop direct from a inverter generator. AVR bascially gives the same output as an inverter machine, generators equipped with AVR (Automatic Voltage Regulator), this feature limits the variation of the voltage of your generator to + or - 2 %. With a generator equipped with AVR you can run sensitive equipment such as computers. There are many different designs of motor, each with different characteristics. Some motors, e.g. Induction type motors (capacitor start / capacitor run) require additional current to start them, therefore requiring a larger generator. 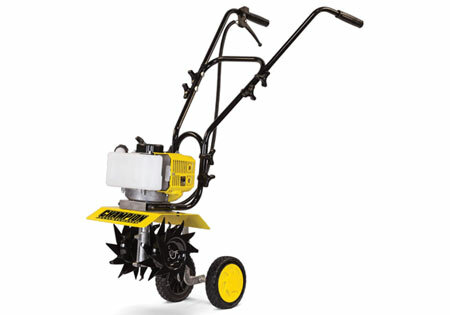 Motors fitted to hand tools generally do not require any additional start-up current. Consequently, it is recommended to ask the supplier of the equipment that you wish to run whether it requires additional start-up current. 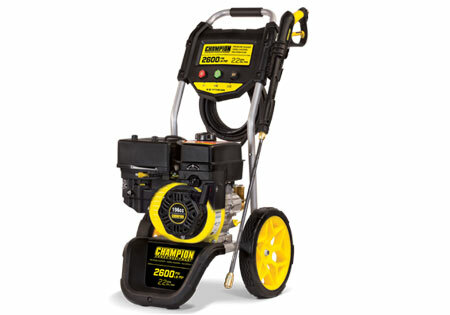 As a rough guide only, allow for a generator that has a continuous rating of 2 ½ to 3 times the motor POWER rating. Motors can be rated in kW or HP. To convert HP to kW, multiply by ¾. 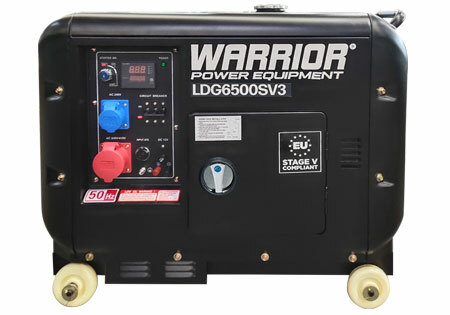 What size generator do I need for my welder ? E.g. A 130A welder will have an input requirement of approximately 130/30=4.3kW. 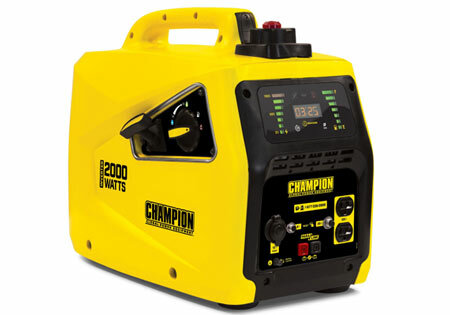 A 200A welder will have an input requirement of approximately 200/30=6.7kW. When a generator is required for a power source there are two types of installation. Most people can only install any generator in a Class I installation constituting in the generator installation to be used with out an earth supply. This is perfectly OK if using equipment that have very low conductivity like power tools, other power equipment and some house hold appliances. However if a generator is bought for a power source for a house, barn or cabin etc then usually they are required by law to install it in a Class II which means a direct earth is required from the generator to main RCD board this can be done by simply using a high quality earthing rod from deep in the ground to the generators earthing point. This type of installation should be carried out by a qualified electrician and the system has to be professionally installed for the safety of the user. Failing to use this method could result in damage to generator and also many types of equipment being powered and in worse case injury to the user. For use in Spring, Summer & Autumn months on either Petrol or Diesel Generators we would suggest that 10w30 is most suited but can be sometimes difficult to source, In which case we would recommend you purchase 10w40which would be absolutely fine. How do I re-program my wireless remote control to receiver? 1. Turn the front panel engine switch ON (middle position). 2. Turn the battery switch ON. 3. Push and hold the programming button on left side of the panel next to the red light (located on the back left side of the panel) approximately three seconds until the light turns on. 4. Push and release the STOP button on the remote. The red light blinks once to erase the remote program. If you have a second remote, press the STOP button on it as well. 5. Push and release the START button. The red light blinks once to program the remote. If you have an additional remote, press the START button on it as well. 6. Push and hold the programming button approximately three seconds until the red light turns off. How do I rewind the rope on the manual recoil? Used in most homes around the world. Able to supply ample power for most smaller customers, including homes and small, non-industrial businesses. Adequate for running motors up to about 5 horsepower; a single-phase motor draws significantly more current than the equivalent 3-phase motor, making 3-phase power a more efficient choice for industrial applications. With the wave form of single-phase power, when the wave passes through zero, the power supplied at that moment is zero. In the U.S., the wave cycles 60 times per second. Common in large businesses, as well as industry and manufacturing. Increasingly popular in power-hungry, high-density data centers. Expensive to convert from an existing single-phase installation, but 3-phase allows for smaller, less expensive wiring and lower voltages, making it safer and less expensive to run. 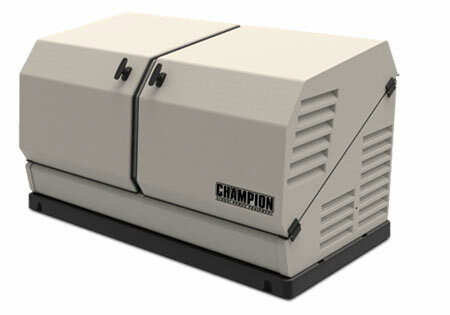 Highly efficient for equipment designed to run on 3-phase. 3-phase power has 3 distinct wave cycles that overlap. Each phase reaches its peak 120 degrees apart from the others so the level of power supplied remains consistent. To illustrate the difference between single-phase and 3-phase, imagine a lone paddler in a canoe. He can only move himself forward while his paddle moves through the water. When he lifts the paddle out of the water to prepare for the next stroke, the power supplied to the canoe is zero. How do single and three phase systems work? Single-phase systems use alternating current electric power in which the voltage and current flow changes in magnitude and direction in a cyclical fashion, typically 60 times per second. In the U.S., single-phase voltage is 120 Volts, while several other countries use 230 Volts as the standard. A variation of single phase, called split phase, is also in effect in the U.S. where two wires carry 120 Volts each with a common neutral thus providing the option to hook up high power loads to the 240 Volt power circuit and low power loads to 120 Volt power circuit. In three-phase systems, the power circuit combines three alternating currents that vary in phase by 120 degrees. As a result, the power would never drop to zero, making it possible to carry more load. In a typical 120 Volt power arrangement, this is equivalent to three 120 Volt single-phase power circuits and one 208 Volt power circuit. What are the benefits of three-phase systems over single-phase? The cost to install and maintain three-phase systems is substantially lower than that of single-phase systems. Three-phase systems use substantially less conductor material than that of single-phase systems – about 25 percent less for the same amount of power delivered. For the same amount of time, three-phase power lines can carry more power than that of single-phase power lines at a reduced cost. In addition to reduction in copper, a three-phase system requires fewer circuit breaker pole positions for 208 Volt loads. The power delivered is almost constant in three-phase power circuits, making them ideal candidates for transmission lines, power grids, and data centers. Three phase generators draw significantly lower amps than a single phase because they use a (Coefficent 1.733). Three phase Equation is watts (W)/voltage (V)/(Coeffient 1.733)=(A)amps. Dual voltage generators only produce full power on larger output voltage due to the wiring configuration of the alternator. Single phase or lower power only use two winding of the 4 available on the alternator so usually resulting off a power reduction 40-50% from the quoted continuous output power. In a case where the generator is three phase and also single phase the maximum value always goes to the greater number eg 415v in this case leaving the single phase to 40-50% lower output. This chart will help you calculate the sound power. Here is standard chart of the different oil types, most common used in the UK is 10w30 or 10w40. The main differences in the oil types are the operating temperature a smaller first figure usually means a lower starting temperature and larger second figure usually means high operating temperature. If you are unsure of the oil type for your generator a good rule of thumb is first determine your countries climate!!! Do you have very cold winters and very hot summers, your oil type should be based on the climate the generator is going to be use in for example if it is mainly winter then a lower starting temperature oil is recommend or if it going to be summer months then a higher operating oil type is recommended. Oil types usually come in part synthetic or fully synthetic and the cost varies, More expensive branded oil are no better than premium branded oil they are more or less the same product but some more expensive brands do have additional additives. Any part or fully synthetic oil for a generator will be perfectly OK as long as the oil changes are regular and it line with the maintenance schedule.